You can use AFerry to book Washington State Ferries between the USA and Canada. 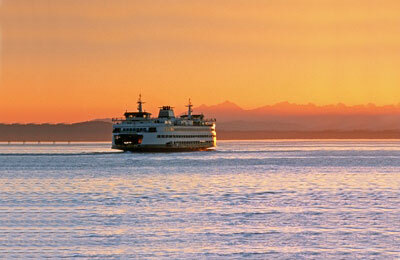 Washington State Ferries operates the largest ferry system in the United States with 22 ferries operating daily. AFerry always has cheap prices for Washington State Ferries and the latest special offers. The Washington State Ferries fleet is made up of modern ferries with a high standard of onboard facilities to make your trip as comfortable and as enjoyable as possible. Whichever Washington State Ferry you choose, you can set sail safe in the knowledge that you got a great deal with AFerry.